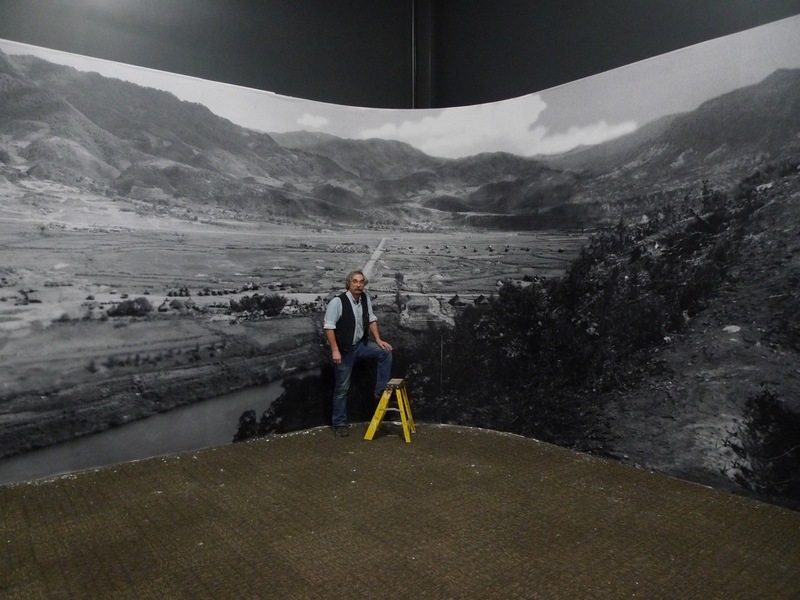 This wallpaper mural is a black and white photo from the Korean War. It’s 12 feet tall and 34 feet wide. Grayscale wallpaper murals are particularly tough to get right, and we like to think that we are the experts in doing this well. As you can see, the panels match perfectly and the gray is perfect from one wallpaper panel to the next. We came across an interesting website recently, these guys will make you cut lettering to put on a wall. For instance, if this museum wanted to put some writing on this photo after the fact, WiseDecor could create a wall decal from adhesive backed vinyl to be applied over the top of the wallpaper mural. This entry was posted in Custom Printed Wallpaper and tagged custom wallpaper, photo wallpaper, wallpaper murals. Bookmark the permalink.